The aim of this chapter is to investigate clinicians’ perception of factors impacting the use of information systems (IS) in adults with attention deficit hyperactivity disorder (ADHD) treatment and management. Adults with ADHD exhibit impairments in executive functions (EF) which include management and planning, attention, emotion control, effort, working memory, and self-regulation. Impairment of functions can impact on successful task execution. This is an exploratory research, which is part of a bigger project. To explore these factors, the data was obtained by employing in-depth interviews of 12 psychologists. Grounded theory was adopted as a lens of analysis using grounded theory. Two key themes emerged from the analysis which outlined the factors which form the base of the theory developed by this research: Participants’ perception of practical acceptability of IS-based solutions is impacted by its utility and usability. Participants perceived that the EF ability impairment of adults with ADHD can influence the successful use of IS-based assistive tools. The emerged theme can act as a focus of future investigation and evaluation of adults with ADHD and technology alignment for treatment enhancement. 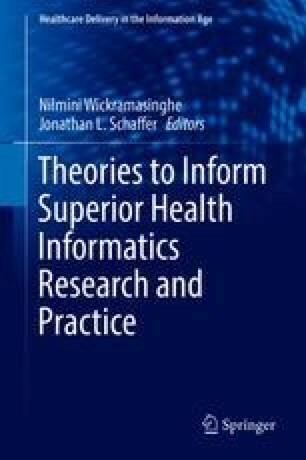 Salomone, S., Fleming, G. R., Bramham, J., O’Connell, R. G., & Robertson, I. H. (2016). Neuropsychological deficits in adult ADHD evidence for differential attentional impairments, deficient executive functions, and high self-reported functional impairments. Journal of Attention Disorders. https://doi.org/10.1093/ije/dyt261.